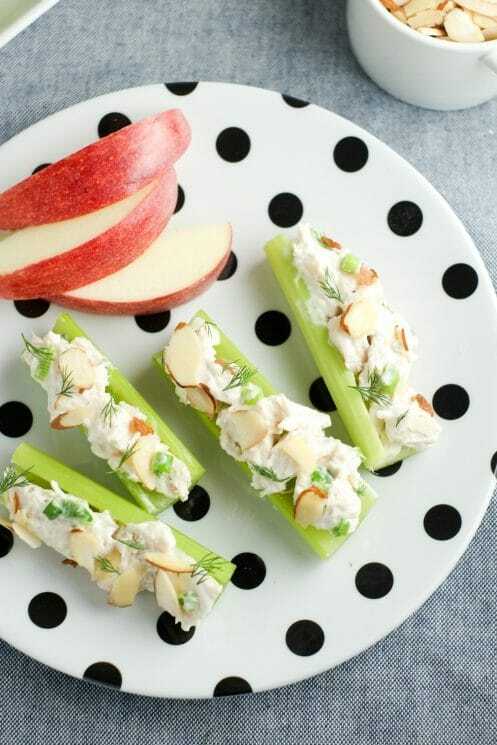 When you’re ready to eat, simply spoon a bit of chicken salad onto celery sticks and then top each with some slivered almonds. Enjoy! 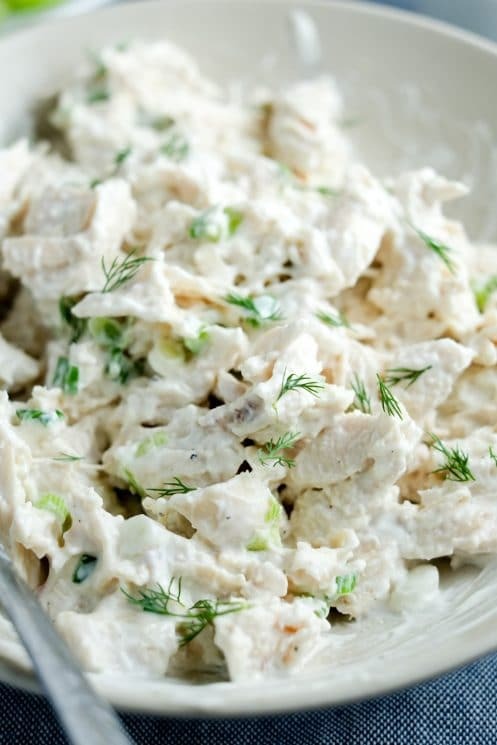 Cook and shred chicken breasts (or grab a rotisserie) – you’ll need about two cups. Slice 4-5 green onions. 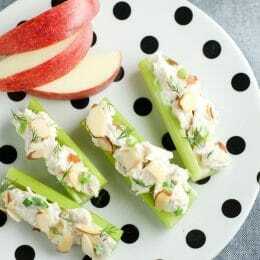 Wash and chop celery into 3-4 inch pieces. 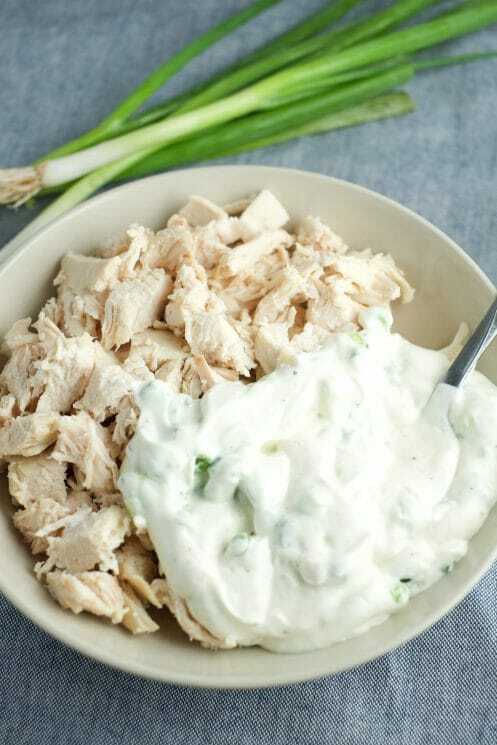 Mix together Greek yogurt, light mayo, sliced green onions, red wine vinegar (or other vinegar/lemon juice), garlic powder, salt, and pepper. Add chicken in and mix unil well incorporated. Cover and refrigerate until ready to use. 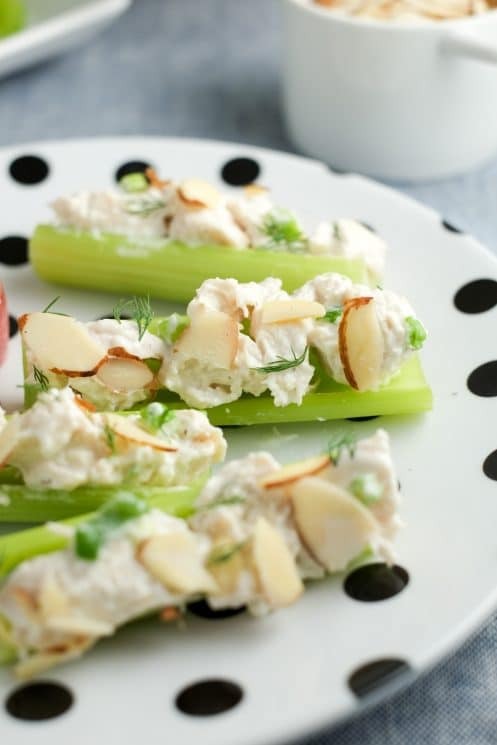 Top celery sticks with chicken mixture and slivered almonds. 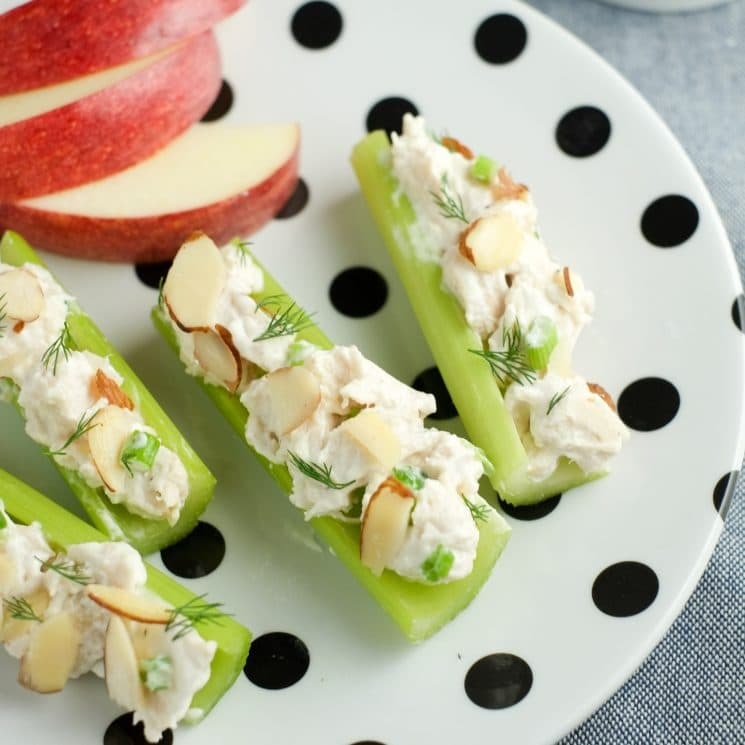 Garnish with fresh dill if desired. I think you may have just changed my life! 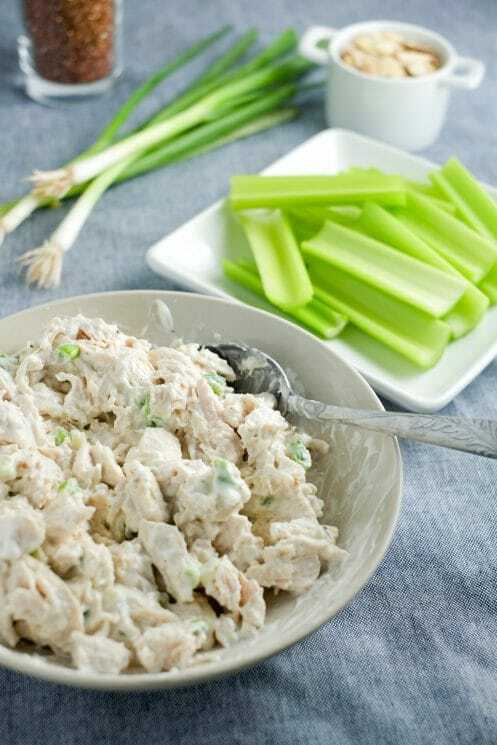 I love chicken and tuna salad with chopped up celery in them, but have recently embarked on a low carb lifestyle and have been struggling with how to eat those items. 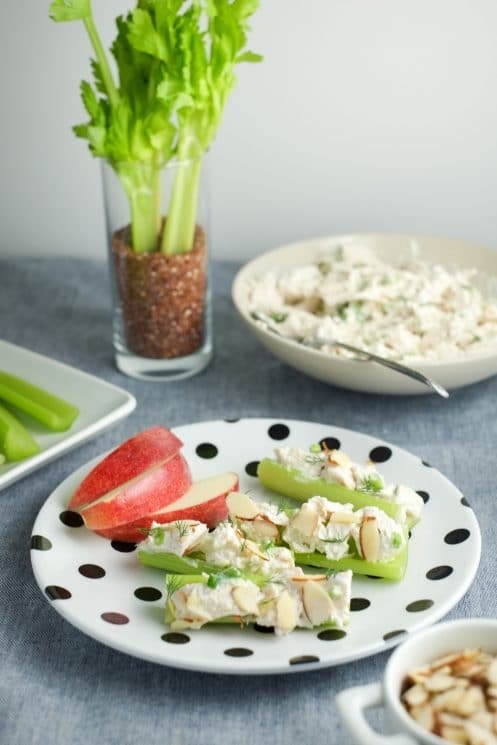 I usually use toast or tortilla chips, but now I will omit the celery and use it as a vessel instead! Thank you!! 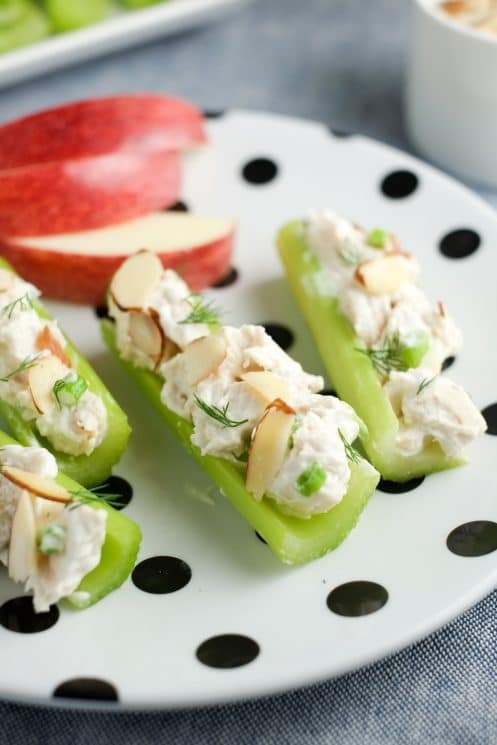 I am so in love with this recipe you have created. My wife and kids are dying to just have more of it. As I was reading, I noticed that there was a spelling error! It said “Unil”and I believe the correct word you were trying to type was “until”. As a publisher of many astonishing pieces, I must ask you to please revise you work before publicizing your work.